My short crust pastry never fails me. It also doesn’t need to go in the fridge for a decade before you can use it. Ok, its 30 minutes but MY GOD, how long is that 30 minutes??? Weigh 400g flour into your TMX bowl. Add 1 tsp salt if making savoury pastry or 30g sugar If making sweet pastry. Pulse (turbo) twice to mix. Mix on speed 4 for 10 seconds. Check consistency. It should be like fine breadcrumbs. If not, do a further 5 seconds. Add both egg yolks and 1/4 c ice water. Mix on speed 6 for 10 seconds. Check that its coming together in clumps. Set timer for 20 seconds and turn to speed 6. Dribble ice water in through the centre hole slowly until all the pastry gathers in a lump around the centre blade. Turn off the machine and turn upside down. Release the blade and let the pastry and blade come out onto a floured surface. Your pastry will be slightly sticky, that’s ok. remove the blade and knead a couple of times quickly on the flour until the pastry isn’t sticky. This pastry is ready to be rolled. If you are not going to use is straight away, store in fridge or freezer. The reason it doesn’t have to rest is because its so cold from the frozen fats. If you do any of my recipes and it hasn’t worked for you, please contact me. If you have made any of my recipes and loved them, please don’t forget to leave a note on my blog, especially if you have made some tweaks that have worked out! Thank you! Anyway, after s brief stint in Robin Hood’s back yard, Nottinghamshire – I ended up in Cornwall. Home of the revered Cornish Pasty. 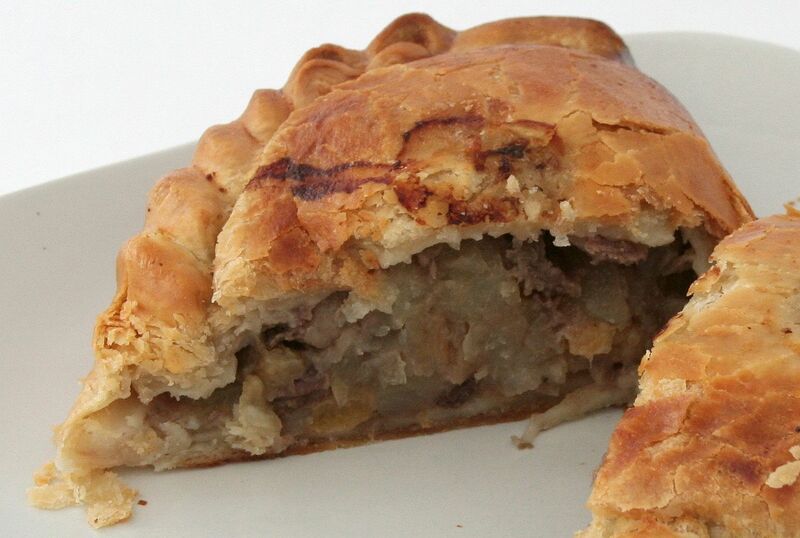 A Cornish pasty of course is a half moon shaped pastry filled with meat and vegies. Sometimes people roll them upright, its a personal thing. 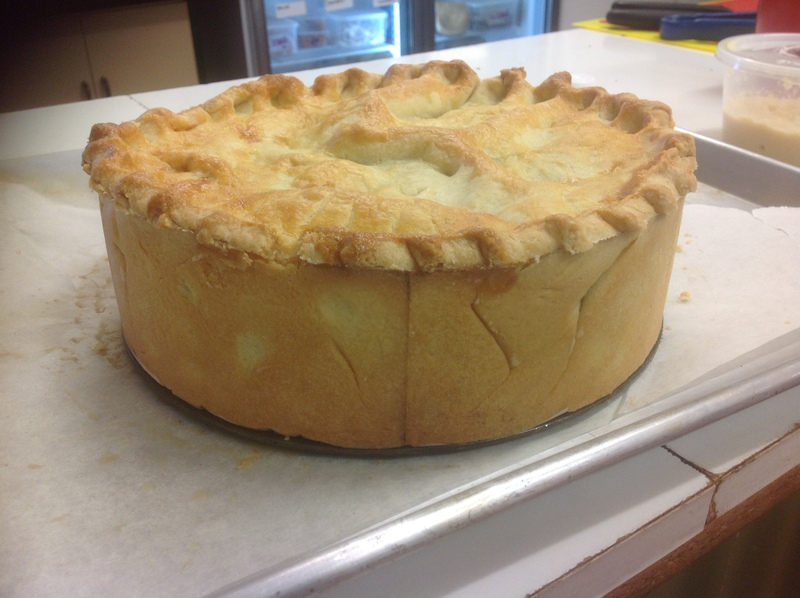 The pastry is crimped and its deliciously moist and flaky. I learned to make Cornish pasties from a lady born and bred in Cornwall. In fact she had never left Cornwall, and was quite proud of that fact! 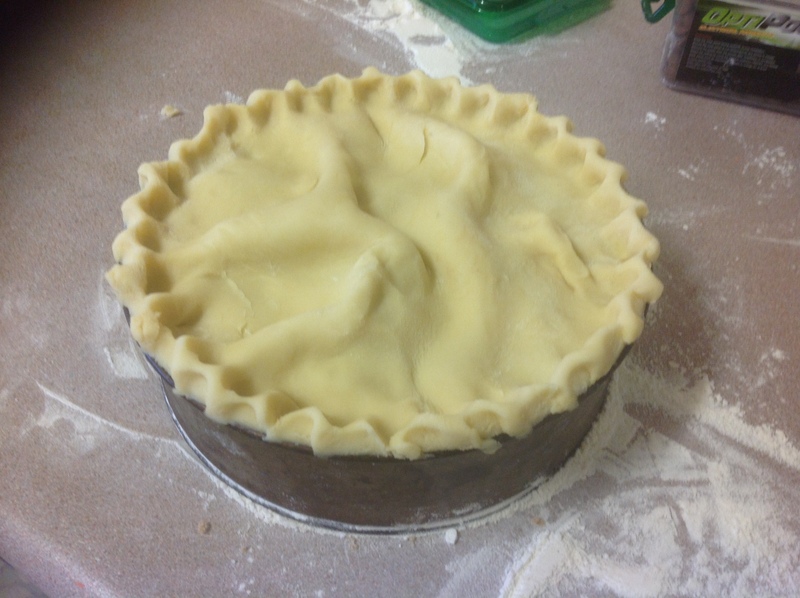 Rita showed me how to make the pastry, what meat to buy and how to crimp. It’s an art, make no mistake and a good pasty is amazing! Every Cornish person has an opinion on what makes a great pasty but for my purposes, this is the recipe I have been using for the past 20 years and I’m sticking with it! Separate the leaves from your stalks on the parsley, discard stalks. Set parsley aside. Chop vegetables in your tmx bowl for 2-3 seconds on speed 4. Check consistency, you want it to be small enough to cook in 50-60 minutes but not little pieces. If doing this by hand you would slice the veg the same as for potato bake, so try and get the pieces that sort of size. Remove veg from bowl and set aside. Take one pastry circle. 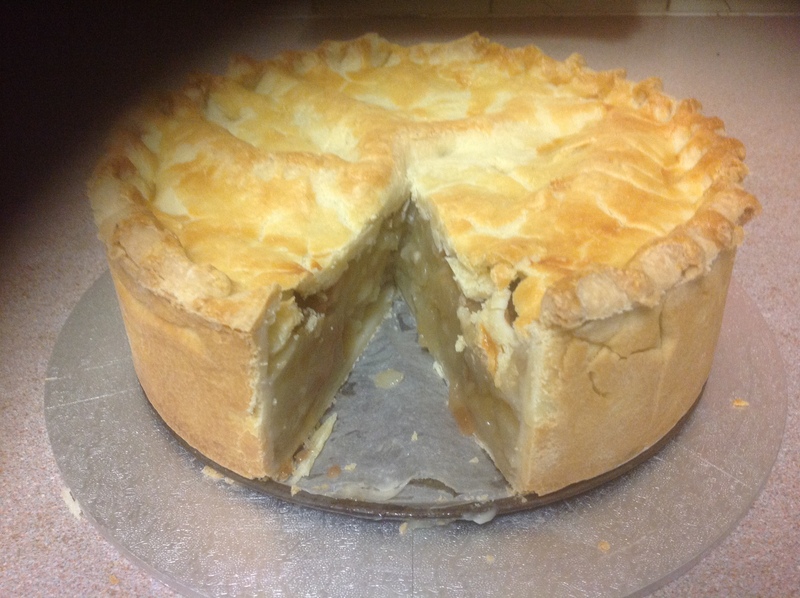 Baste around the whole edge with egg wash. You do not want your pasty to leak so ensure you have no holes or tears. In the middle, place a mound of the veg mixture, approx. Leave a good inch of pastry free all the way around for sealing. Don’t make the filling too big or you will have trouble sealing the pasty. Add about a ping pong ball sized amount of meat, along the top of the veg. Add parsley to the top, lay it over the meat. 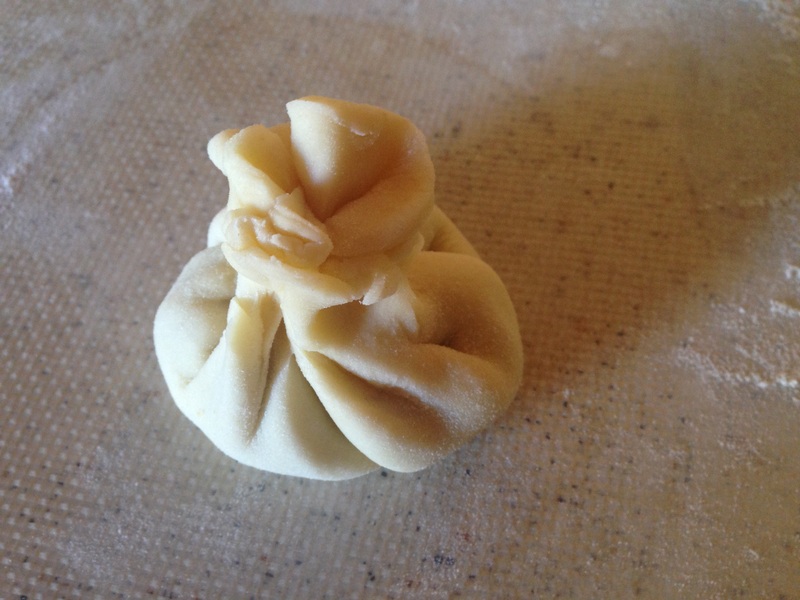 Roll your pastry over so you have a half moon shape. 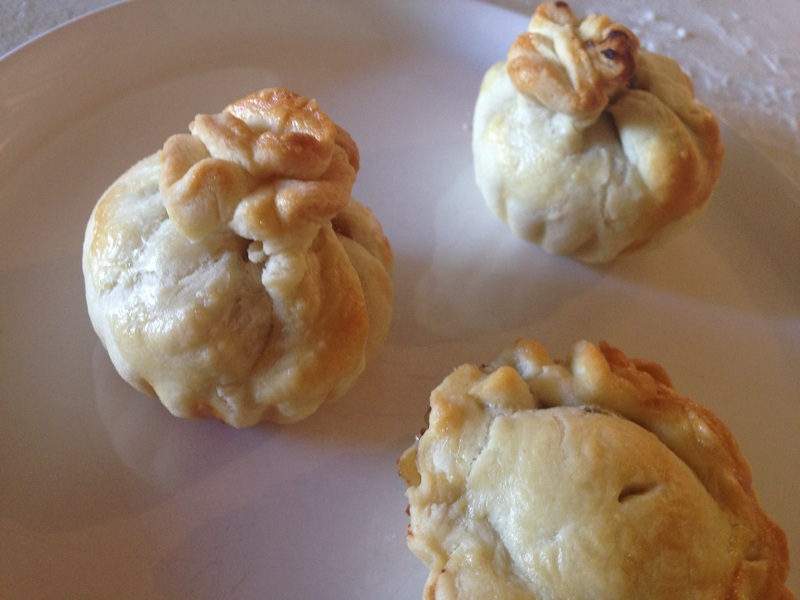 Seal the edges together and then crimp the pasty (How to crimp a pasty here). Poke a steam vent in the top somewhere with a knife, just a little hole.. and egg wash the entire pasty. Place on a lined tray in the middle to lower half of the oven and bake for approx. 50-60 minutes. Let sit for 5 minutes before transferring to a wire rack. Do not attempt to eat one for 15 minutes as you will burn yourself!